RBL Bank, one of India's fastest growing private sector banks today announced the launch of an exclusive branch for start-ups. 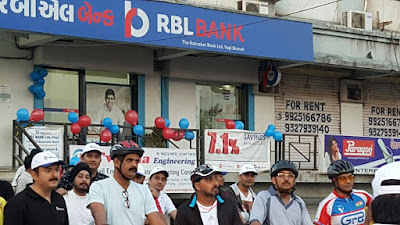 RBL Bank will be the first private sector Bank to open a specialized branch for start-ups offering a bouquet of banking products to service the end-to-end needs of the emerging entrepreneurial eco-system. 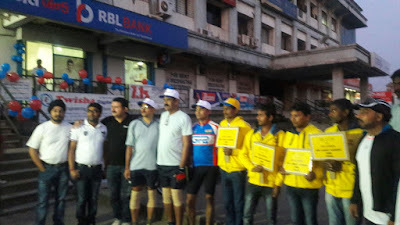 The branch was inaugurated at Koramangala, Bengaluru, has by Nandan Nilekani, noted entrepreneur and former chairman of Unique Identification Authority of India. RBL Bank’s Chairman, Narayan Ramachandran and Rajeev Ahuja, Head – Strategy were present on the occasion. The dedicated branch will assist entrepreneurs in setting up new companies or enterprises and offers a host of banking products including, foreign exchange services, remittances and cash management. The Branch will also provide a range of value added services including registration, legal and tax formalities etc. through its affiliates and partners. As another arrow in the quiver of offerings, the Bank is also at the forefront of supporting the emerging venture debt market in India. The Bank was an anchor investor in Trifecta Capital’s Venture Debt Fund, the first Alternative Investment Fund (AIF) of its kind in India. As part of its strategy, the Bank is also focusing on industry-wise specialists in wholesale lending, e-commerce and new-tech business. It has also made significant strides in e-lending through tie-ups and partnerships. Earlier this year, RBL Bank launched India StartUp Club (ISC), a fast track program to support early stage companies with a basket of banking services to jumpstart their operations. This includes a Green Channel for Account Setup, Payroll Services, Cash Management, trade and foreign exchange service, escrow accounts, transaction banking solutions (API banking for managing various payment/receivable needs), Customised Debit Cards and a dedicated hotline to address the 24x7 needs of these high growth companies. India StartUp Club also partners with various referral service providers and forums to provide a host of value added services for the startup community. The non-banking solutions offered through referral partners include, enterprise registration services (online CA), office space/meeting room services, human resource management system, social media marketing and branding, and customer relationship management. This empowers the start-ups to build and grow their businesses by offering multiple options under one roof at a special price.